Conical Flask PP are made of Polypropylene. Threads should be disengaged before autoclaving. 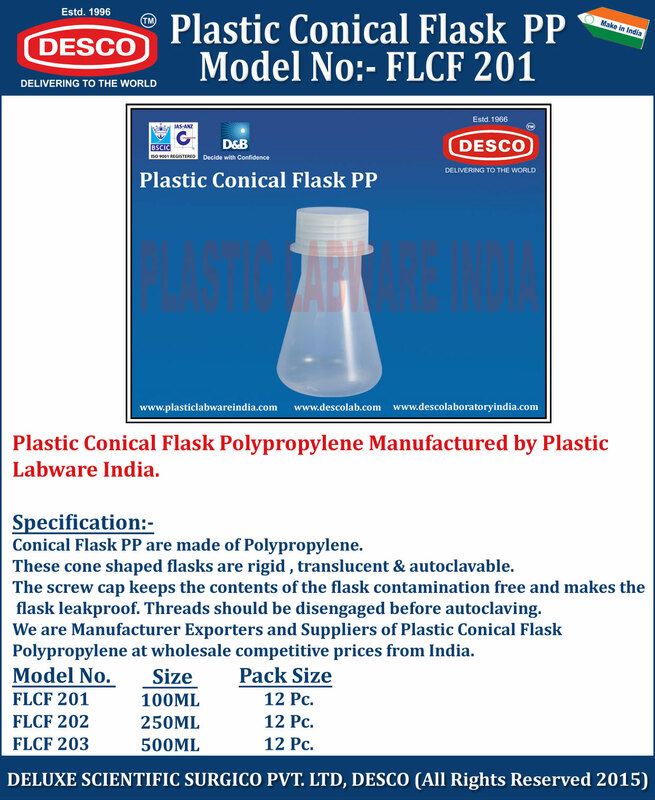 We are Manufacturer Exporters and Suppliers of Plastic Conical Flask Polypropylene at wholesale competitive prices from India. FLCF 201 100ML 12 Pc. FLCF 202 250ML 12 Pc. FLCF 203 500ML 12 Pc.